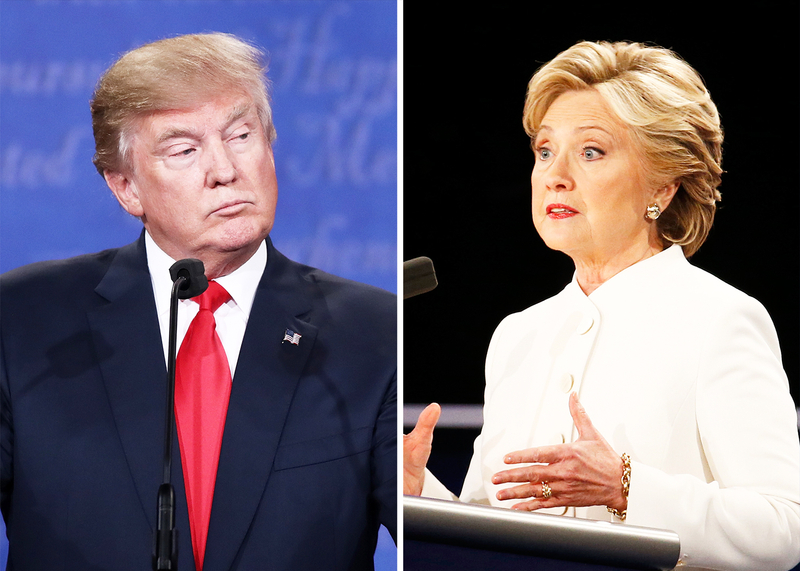 Just like with the two previous debates, the third and final one on Wednesday, October 19, included some tidbits that everyone will be talking about in the morning. Watch five moments that stood out, including one that got "nasty," in the video above, and detailed below. You&apos;ve got to hand it to Trump: The man knows how to spawn a hashtag. After he responded to an immigration question by citing the need to remove "bad hombres" from the country, #badhombres began trending on Twitter almost immediately. And toward the end of the debate, when Trump took offense to a quip by Clinton about his talent for finding loopholes in the tax code, he snarled, "Such a nasty woman." This latter remark quickly started trending as well, becoming a sort of ironic rallying cry for a lot of women voters. Did Trump just inadvertently spark a get-out-the-vote movement? Once again, Trump uttered that word-that-isn&apos;t-a-word, "bigly," this time discussing immigration, and Twitter loved it. "We have millions of people who did it the right way. They’re on line. They’re waiting. We’re going to speed up the process bigly because it’s very inefficient.” We&apos;re still not sure whether he meant "big league." "On the day when I was in the Situation Room, overseeing the raid that brought Osama bin Laden to justice, he was hosting the Celebrity Apprentice." Trump has said plenty of shocking things over the course of the debates, but this is the one that set all the political insiders abuzz: One of the central tenets of elections in the U.S. is the part where the loser steps down graciously, via a concession call after the voting results are in. When Trump was asked explicitly whether he&apos;d accept the results of the election, his response was a dodge: "I&apos;ll tell you at the time," he replied. "I&apos;ll keep you in suspense." The allegations of sexual misconduct against Trump came up tonight as expected, with the real estate mogul insisting that the claims were false ("debunked" was the word he used), which he says is why he never apologized to wife Melania for them. The Republican nominee also suggested that the claims were invented explicitly by Clinton and her team. "I have a feeling how they came. I believe it was her campaign that did it," Trump said. Clinton rarely loses her cool, even when the debates get heated, but she sounded positively exasperated (and refreshingly unrehearsed) when she was going after Trump for the dubious expenditures of his charitable foundation — which included a 6-foot portrait of the GOP candidate himself. "Who does that?!" Clinton asked. Tell Us: Who do you think won the debate?